As the new month has begun and Google has released its batch of security updates, the OEM brands will dive in to release their own security patches. While most of you who own the latest Samsung Galaxy devices will be anticipating the security patch for March, Galaxy S5 users are in for a pleasant surprise. 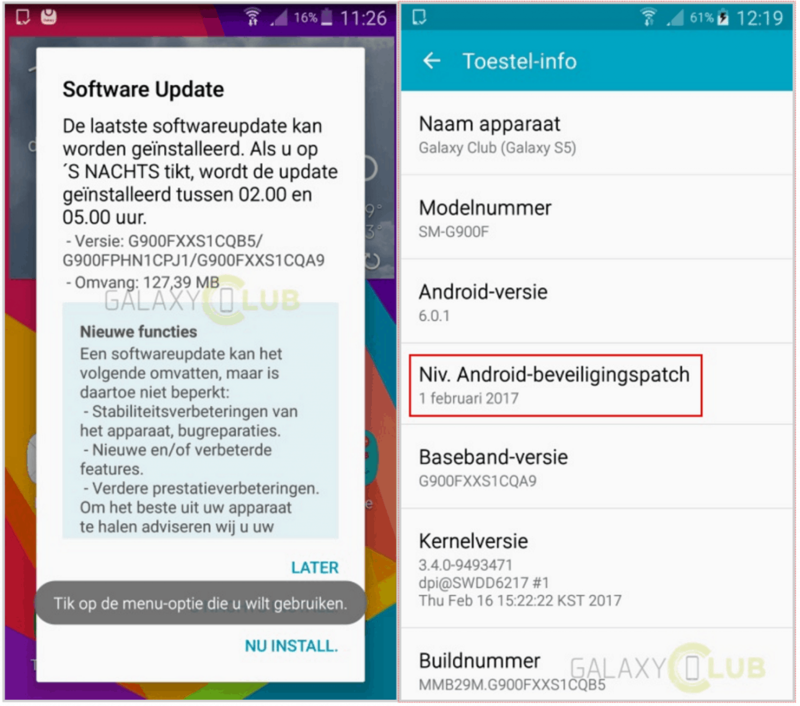 Rolling out across continental Europe for the Samsung flagship from 2014 is the February security update. While the device will unfortunately never taste the sweetness of Android 7.0 Nougat, the security update will ensure dozens of patches to vulnerabilities in the Android OS and Samsung as well. The latest firmware version G900FXXS1CQB5 weighs in at just 127MB and updates the security level to February 1. Are you among the Galaxy S5 users who have received the February security update already? Do share your thoughts on the new software version in the comments section down below. You can also go ahead and update your device manually by heading over to Settings->Software Update-> Software manual download.